Pablo Lancaster greets Dancer while woking on Wednesday, May 9, 2018 in the barn at Second Chances Horse Farm in Sykesville, Md. Inmates from the Central Maryland Correctional Facility who are nearing release work at the farm, where they learn skills that will help them when they return to society. 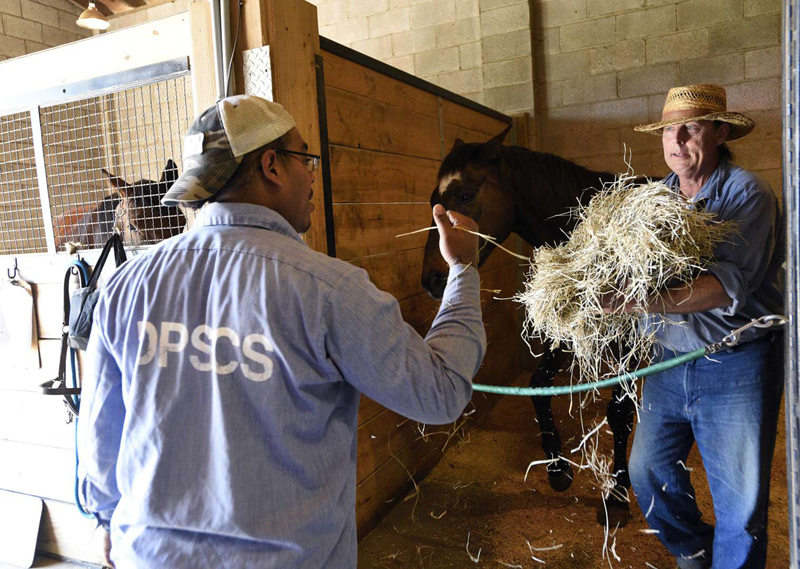 Pablo Lancaster left, hands a bale of hay to Allen Booth, right, feeding Dancer on Wednesday, May 9, 2018 at Second Chances Horse Farm in Sykesville, Md. 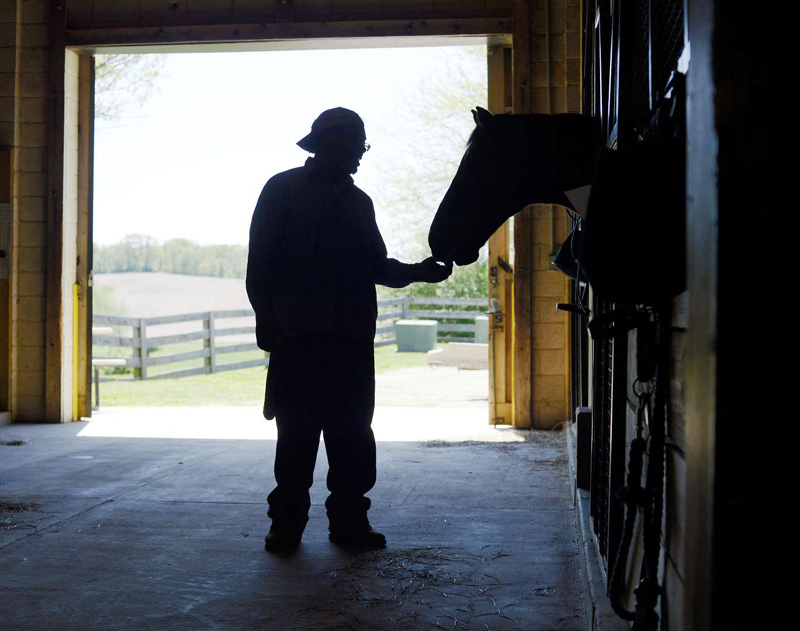 Inmates from the Central Maryland Correctional Facility who are nearing release work at the farm, where they learn skills that will help them when they return to society.